Unlike his other three private jets, the Falcon 7X can “go anywhere in the world in one stop." 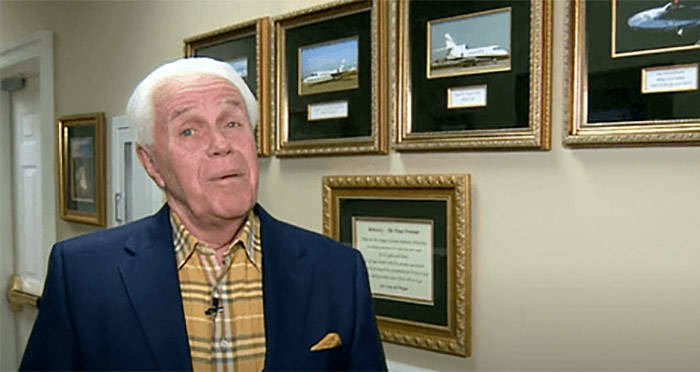 The Times-PicayuneJesse Duplantis asked his followers to help fund a $54 million jet. 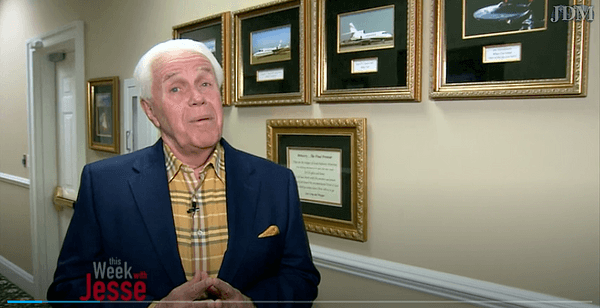 That was the case Jesse Duplantis, a Louisiana televangelist, made in a video posted to his ministry’s website, in which he asked his disciples to donate money for a private jet that costs $54 million. Duplantis, who has a global following, showed framed photos of the three private jets he already owns hung next to a picture of the new jet he has his eye on. The Falcon 7x, different from his other jets, has three-engines and a range of 5,950 nautical miles, which allows Duplantis to “go anywhere in the world in one stop,” he said in the video. The 68-year-old Christian minister is based in Destrehan, a census-designated place in St. Charles Parish about 25 miles east of New Orleans. Duplantis said his ministry paid cash for the jets he already owns, the most recent of which was purchased in 2006. The issue with these jets, he said, is that they require multiple, expensive, stops to refuel. The Falcon 7X, on the other hand, saves money. “If I can do it with one stop I can fly for a lot cheaper because I have my own fuel for it,” said Duplantis. In 2015, Duplantis appeared on fellow televangelist and personal jet owner Kenneth Copeland’s program where they defended their personal aircraft by arguing that commercial planes were full of “a bunch of demons” that would bog down their schedules with prayer requests. Duplantis has been identified with the prosperity gospel (also known as the “health and wealth gospel”) which preaches that faith, donations, and positive speech towards religious causes increases a person’s material wealth. It’s a perversion of the gospel of Jesus claiming God rewards increases in faith with increases in health or wealth. Next read about the $2.4 million worth of gold bars found in a tank purchased on e-bay. Then read about how the Jefferson Bible showed what the president really thought of Christianty.